Waterfall Info: This is a scenic sliding waterfall on Bear Creek, the third and final falls on the creek from the top. It's a lot more secluded than any of the park's other waterfalls. 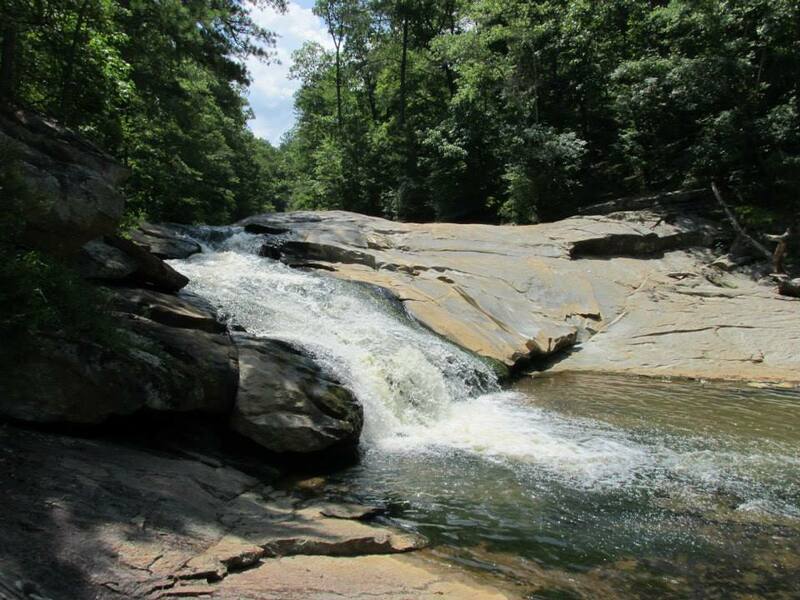 Access Info: This waterfall is along the Henry Mill Falls Trail in Cochran Mill Park. See Cochrans Mill Park Trail Map.